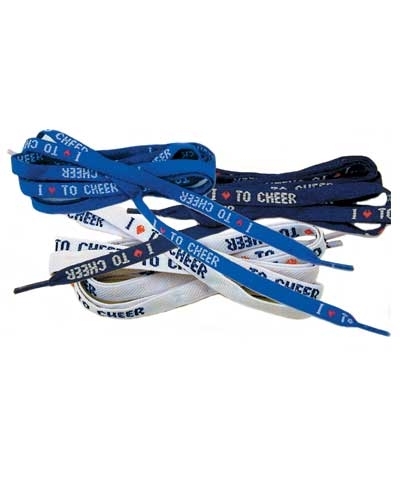 Cheerleader I Love To Cheer Shoe Laces Buy one - buy a set of three (one color or assorted) or buy for the team. Tie up your shoes or your hair or your gifts or anything that needs tying up. These woven (not printed) logo shoelaces are 36" long with our. I LOVE TO CHEER logo. White is no longer available and the set of 3 consists of 2 blue and 1 black set of laces.